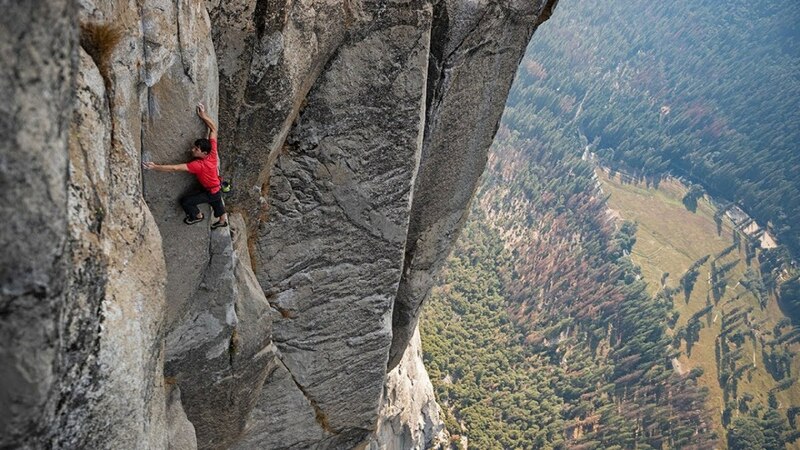 Aaron Neuwirth goes over several reasons why Free Solo is not only a great documentary but a terrific thriller. There has been a lot of talk about not only the quality of many documentaries in 2018 but their relative success at the box office. 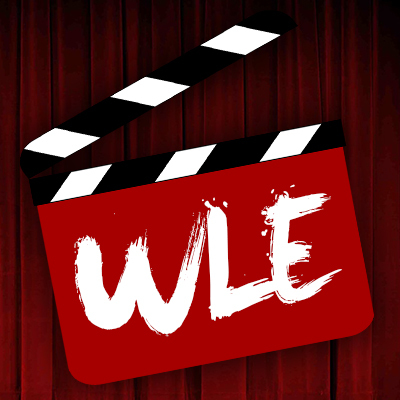 Films such as Won’t You Be My Neighbor and Three Identical Strangers have refreshingly managed to connect with audiences. Free Solo is another film that easily fits into this conversation. My girlfriend and I were delighted to catch this incredible documentary on the big screen, because, as opposed to the other docs, a vast canvas is the perfect way to view this film, and also understand why it’s the best thriller of the year. 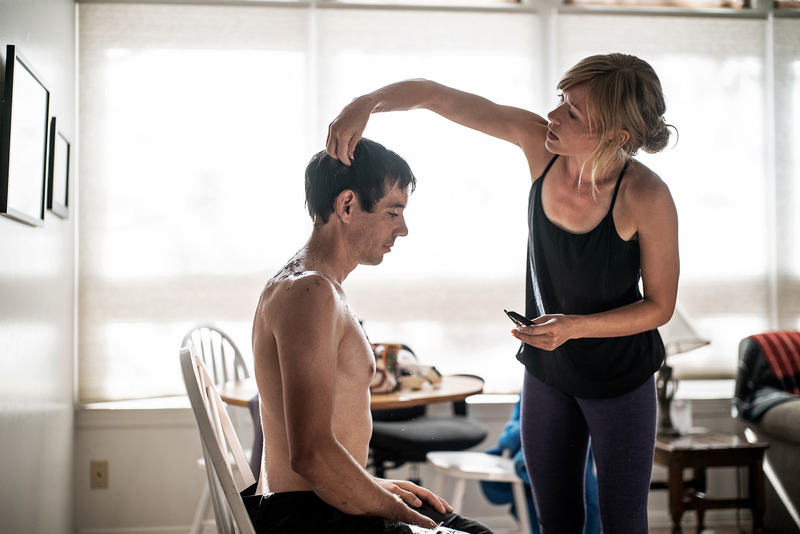 National Geographic Documentary Films’ Free Solo profiles rock climber Alex Honnold, who recently achieved the goal of performing a free solo climb of El Capitan, a 3,000-foot granite monolith in Yosemite National Park. To be clear, Alex climbed this ridiculously large rock without the aid of ropes or any safety equipment. That sounds crazy just saying it, but Free Solo presents this activity as it happened, which is a genuine thrill to watch. So sure, we can praise John Cho for trying to find his daughter through computers, or enjoy Liam Neeson’s train adventure, or even have some fun hanging out with Jeff Bridges and Chris Hemsworth in a retro hotel, but none of that was as thrilling as seeing one guy climb El Capitan and I have many reasons why. 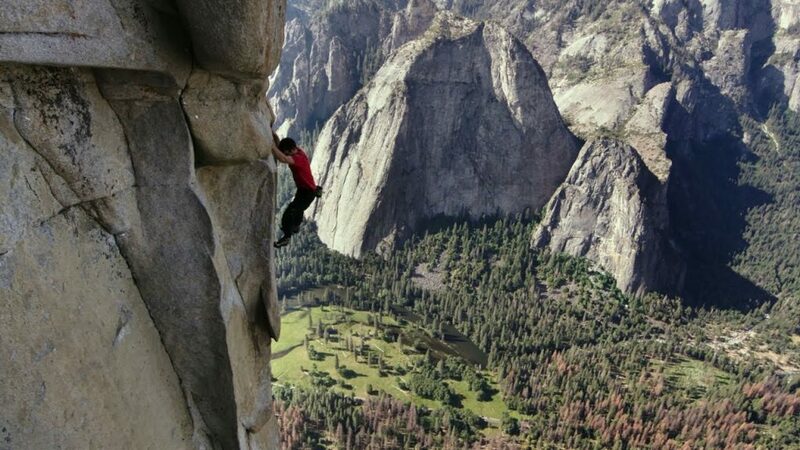 Whether or not you have the chance to watch Free Solo on the big screen, the vertigo-inducing cinematography by Jimmy Chin, Clair Popkin, and Mikey Schaefer takes things to an impressive level. The various shifts to different perspectives, whenever we are watching Alex climb, makes for exciting cinema. More importantly, understanding just how enormous El Capitan is, compared to the mere mortals who attempt to scale it makes for grand spectacle. Certain shots zoom away from where Alex is on the gigantic rock formation, revealing him to be just a speck on a massive sheet of granite. It’s hard not to find that exhilarating to behold. How can one care about the quest if they don’t care about the hero? 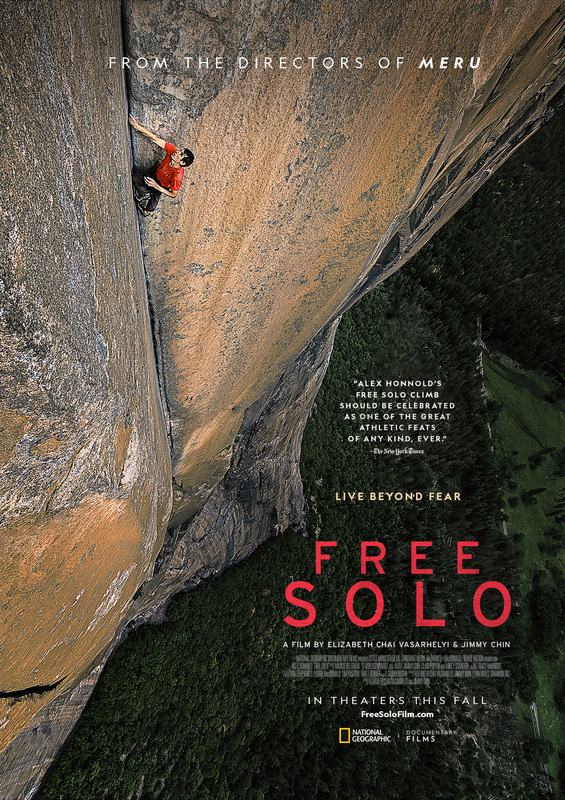 Free Solo features an extended climax focused on the El Capitan climb, but much of the film details who Alex is. It’s not a full-on biography, but thanks to interviews with Alex, his friends, and family, you get a sense of why this man is far from crazy. He’s built a career out of rock climbing, but you learn about his daily lifestyle, and other details, such as his philanthropic activities. Most notable is the film’s choice to focus on Alex’s relationship to his girlfriend Sanni, and what it means for both of them that the rock climbing and the mental focus that comes with it takes priority. Of course, throughout the film, we also see Alex grow from choosing to live in a van to purchasing a house. That allows us to see this guy seem like an alien when it comes to creating a regular lifestyle, but it’s also telling that Alex considers a future with someone he cares about, whether or not he admits it. All of this allows an audience to have an interesting read on this wild rock climber, and care about him achieving his goal. Part of the reason James Cameron’s 1997 epic was successful was due to how it handled the disaster. The film chose to show audiences how the Titanic sank right at the beginning, so there were be no confusion or distraction from the main story while watching the recreation of that event. Free Solo has the same logic as well. To make the rock climbing aspect more cinematic and understandable, the filmmakers have structured the film so that audiences will see why climbing El Capitan is so challenging. Complete with visual aids and contextual segments that provide all the details about exact parts of the rock to climb, by the time Alex gets to specific areas during his climb, everyone watching will know the challenge he faces to do things a particular way, or else plummet to his doom. With a background in horror, sci-fi, and action movies, Marco Beltrami is no stranger when it comes to bringing a sense of thrilling adventure to his compositions. Scoring an Oscar nomination for his contributions to The Hurt Locker is another example of knowing the right moments to play up in the tensest of scenes. 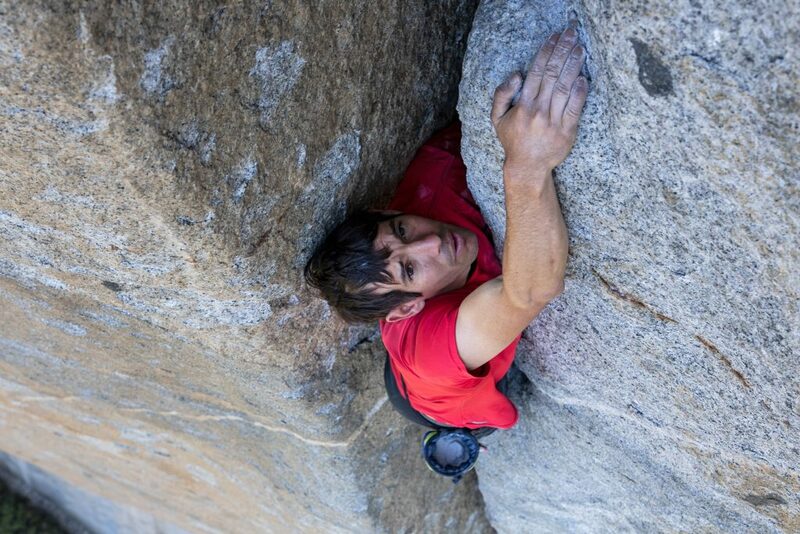 With Free Solo, Beltrami employs his percussive style in a manner that highlights the edge-of-your-seat suspense that comes with seeing Alex attempt his climb. While he wisely lets things quiet down when needed, as the sheer thrill of seeing Alex alone on a giant rock wall is sometimes enough, hearing the score suddenly quicken in moments of potential danger goes a long way to emphasize the excitement of attempting something so brazen. Free Solo was directed by Elizabeth Chai Vasarhelyi and Jimmy Chin, who also helmed the highly acclaimed rock climbing documentary Meru. Chin, in particular, is also a professional climber, mountaineer, and photographer. His involvement in the filming of Free Solo, along with the other filmmakers, only increased the tension, given that many of them were on the sides of mountains with Alex. While they were not with him during the El Capitan climb, the film sets them up early on as participants in his journey. They were on the side of the rock with Alex, as he prepared to make his vertical journey. It’s wild to think of climbing up to incredible heights, while also hoping to get just the right shot for the sake of the film. Seeing Chin express concern for not wanting to negatively impact Alex’s climb by being too much of a presence only adds to the drama as well. Just when you thought it was safe to be off the mountain, you must also realize that Alex is not done. He may have accomplished one of the great athletic feats of any kind, but that does not mean it’s time to hang up the rope. 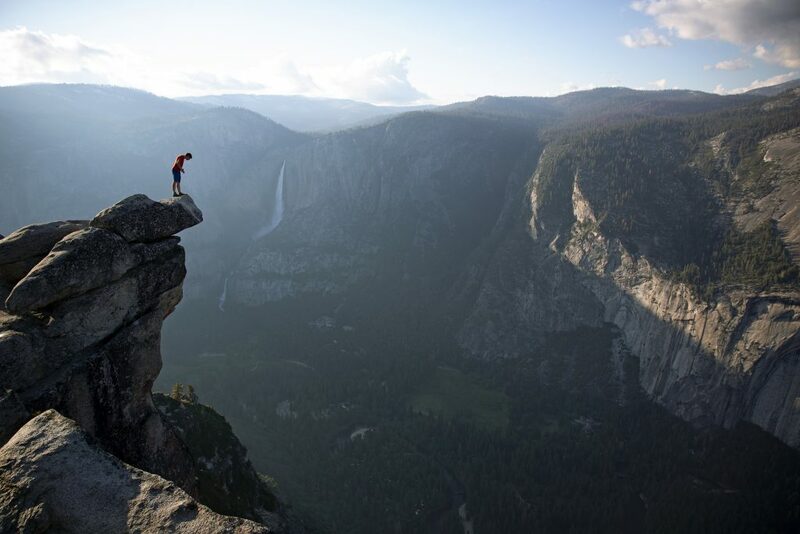 In June 2018, Alex teamed up with his friend and inspiring figure Tommy Caldwell to break a speed record for climbing the Nose on El Capitan. 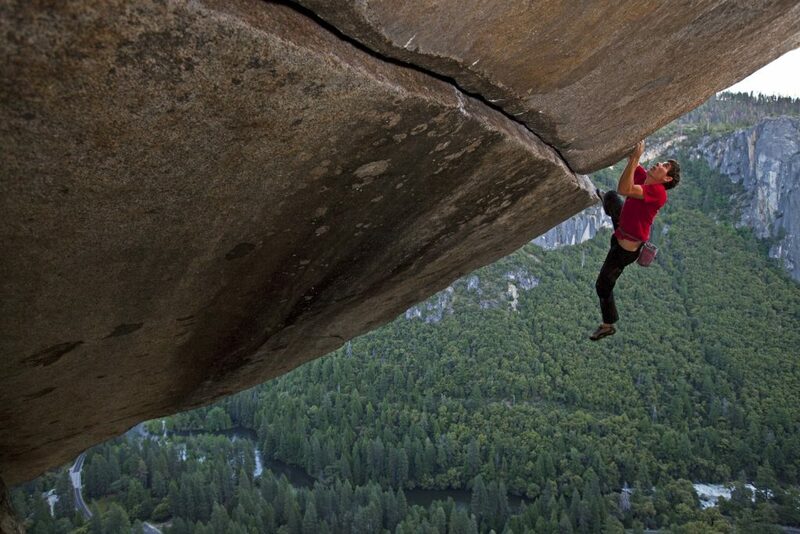 If you think it was wild watching Alex climb with no ropes or safety gear, just know that the success of Free Solo could ideally pave the way for a follow-up film, or a look at another professional rock climber accomplishing feats that can create a similar level of nail-biting suspense.